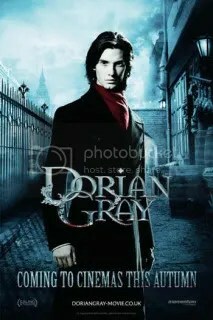 The beloved literary classic, The Picture of Dorian Grey, is getting a facelift on the silverscreen! Oscar Wilde fans can expect a September ’09 UK release, with the North American date following shortly. A dark and moody gothic horror story, it stars Colin Firth, Ben Barnes and Macaulay Culkin. The story tells the tale of a young man, the title character, who was the subject of a painting by the artist Basil Hallward. Hallward becomes more and more infatuted with Dorian Grey, believing that he is his muse. Through Hallward, Grey meets Lord Henry, who impresses him with a new lifestyle of hedonism and beauty. Realising that his good looks will someday fade, Grey is granted a wish that his looks will remain unspoiled, while only his image in Hallward’s painting will age. As his wish is fulfilled, Grey continues to become entrenched in debauched acts; each act is portrayed as a new disfigurement in the painting of Grey. This entry was posted on September 27, 2009 at 4:30 pm and is filed under authors, bestsellers, book clubs, books, infloox, influence, influences, inspiration, literary, literature, novels, victorian, writers, writing. You can subscribe via RSS 2.0 feed to this post's comments. You can comment below, or link to this permanent URL from your own site.